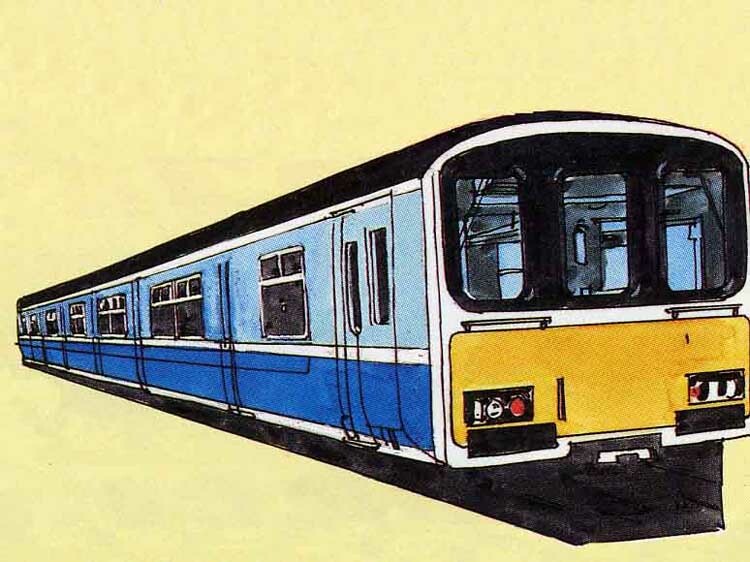 This superb drawing showing the front of an 'HST 125' power car featured in the British Railways May 1984 Hereford to London timetable. This timetable period saw the introduction of these trains to this line. 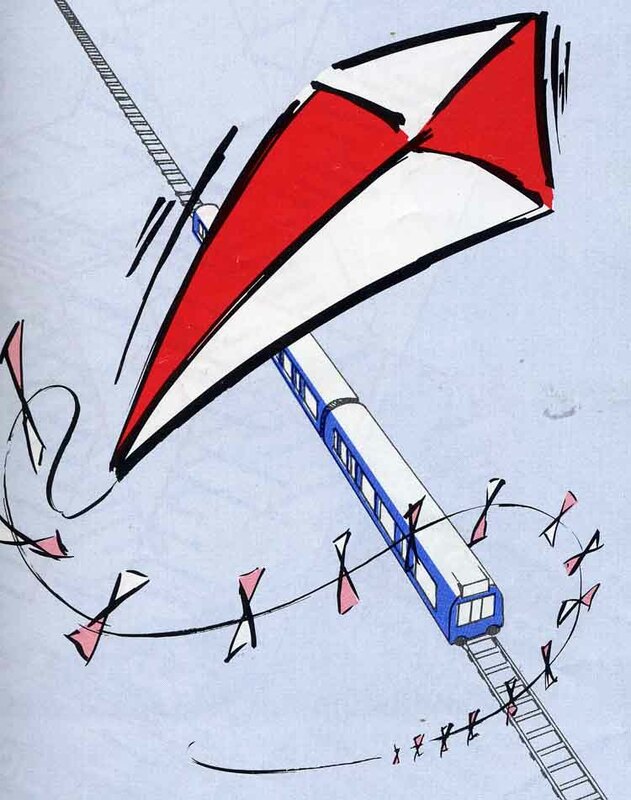 The advent of 'Midline' and the appointment of design consultants enabled the artists to run riot as they portrayed trains in their publicity material. Here is a selection of the most fanciful. 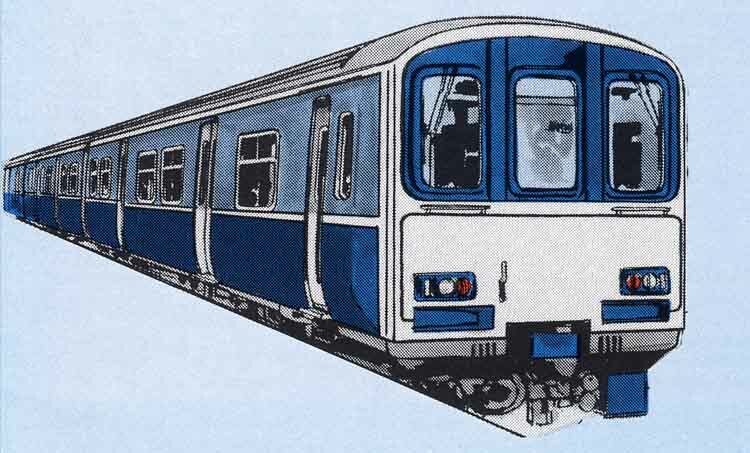 This 'Sprinter' appeared with the launch of the summer services in 1987. The artist has done a very good job here. 'Mr & Mrs Average Family' is portrayed here. There is only one real problem - the sprinter is printed back to front! This comes from a 'Dayranger' advert. This is from the same leaflet and note that the 'Sprinter' is the right way round. 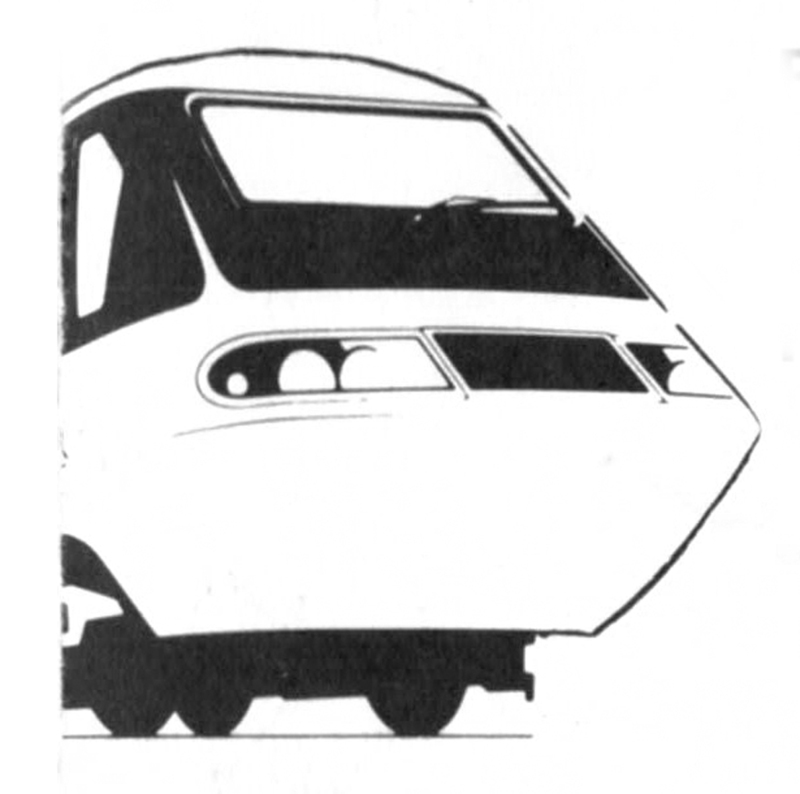 This is how the 'Sprinter' had evolved by the time it was used in this 1988 leaflet. Note the lack of doors for the driver or passengers. 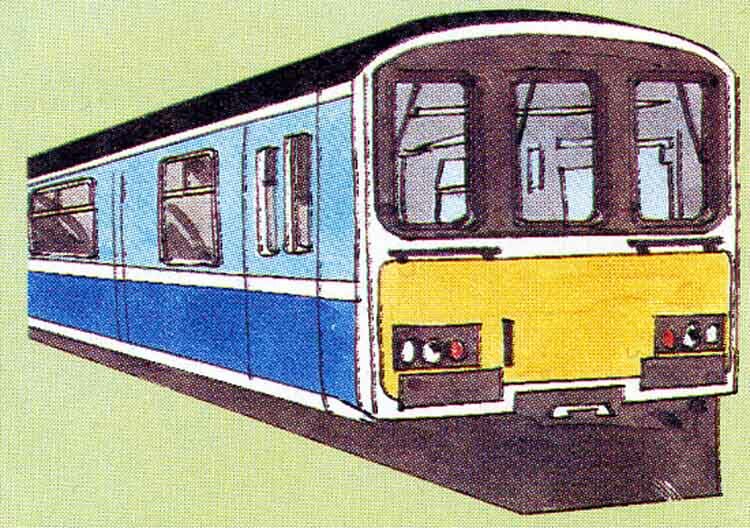 Although this is a 1988 drawing the artist has chosen to use a 'heritage' diesel multiple unit. The bus appears to be on the station platform. Another 'Dayranger' advert but this time from 1988. No concessions to reality here. Is it a tube train? Is it a 'Sprinter''? No,it's a something. 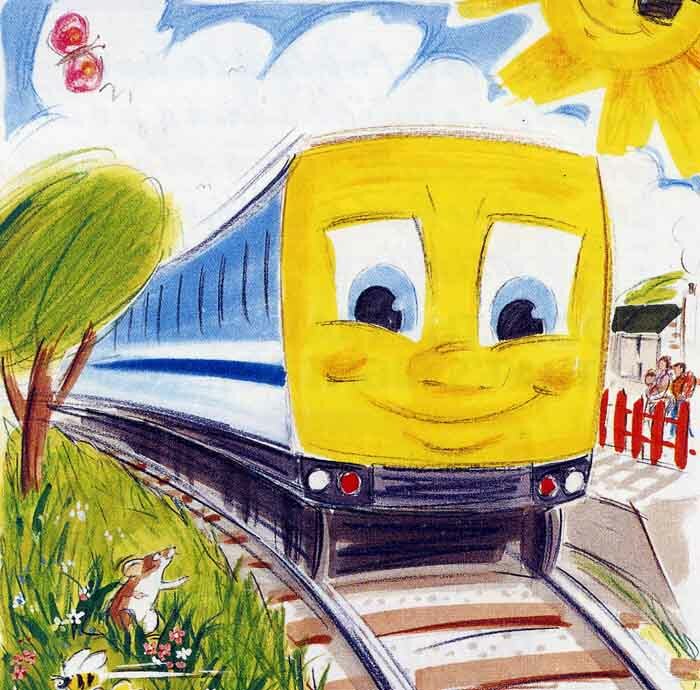 The artist has really let rip in this 'Sunday's Out' leaflet for 1988 summer services. Yes it's 'Smiley Sprinter'. 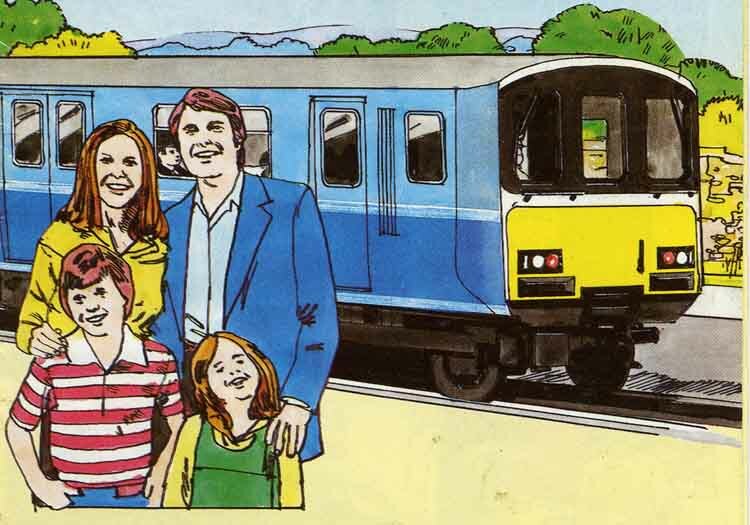 Is that the Fat Controller I see? 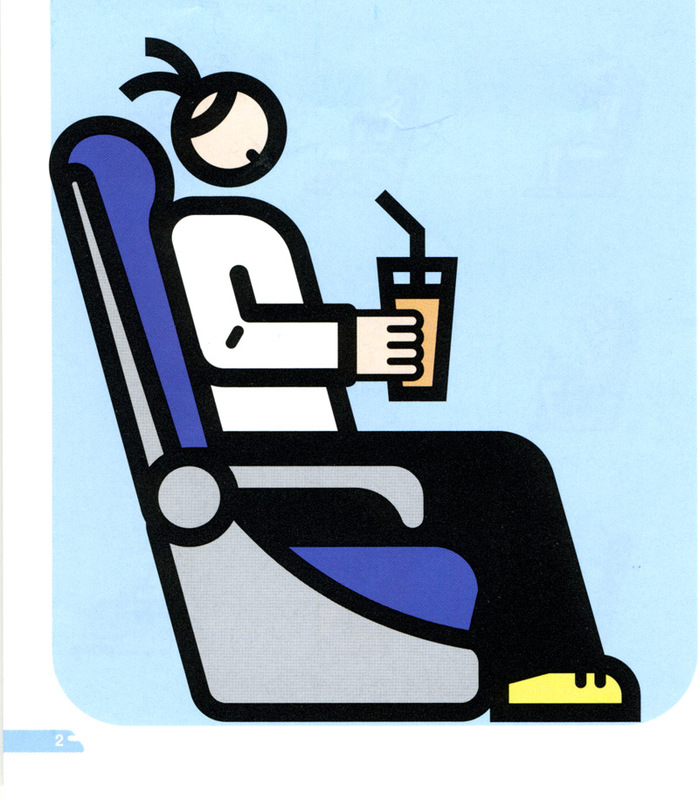 This is a very nice drawing showing a passenger enjoying a drink on a Central Trains Citylink service of April 2004.